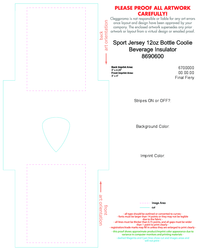 Sport Jersey 12oz Bottle Coolie Beverage Insulator - Black, Orange - PMS 1655, Forest Green - PMS 343, Yellow - PMS 109, Lime - PMS 375, Navy - PMS 289, Royal - PMS 661, Turquoise - PMS 3282, Pink - PMS 508, Purple - PMS Violet, Kelly Green - PMS 356, Neon Pink - PMS 812, Red - PMS 200, Maroon - PMS 229 Sport Jersey 12oz Bottle Coolie Beverage Insulator - Magenta - PMS 240 Sport Jersey 12oz Bottle Coolie Beverage Insulator - *Natural color variances are normal and all PMS colors are approximate. Exact PMS matching for materials is not possible. string(251) "Black, Orange - PMS 1655, Forest Green - PMS 343, Yellow - PMS 109, Lime - PMS 375, Navy - PMS 289, Royal - PMS 661, Turquoise - PMS 3282, Pink - PMS 508, Purple - PMS Violet, Kelly Green - PMS 356, Neon Pink - PMS 812, Red - PMS 200, Maroon - PMS 229"
string(17) "Magenta - PMS 240"
string(121) "*Natural color variances are normal and all PMS colors are approximate. Exact PMS matching for materials is not possible." string(35) "5 - 7 days after final art approval"
string(33) "Front: 3" x 4"; Back: 3" x 4 1/4""
string(104) "Extra color: .25(V) run charge + $60(V) setup per color; Ink Colormatch $40(V); Ink color changes $30(V)"
string(43) "1 color / 2 locations - no special pricing." Front: 3" x 4"; Back: 3" x 4 1/4"
Black, Orange - PMS 1655, Forest Green - PMS 343, Yellow - PMS 109, Lime - PMS 375, Navy - PMS 289, Royal - PMS 661, Turquoise - PMS 3282, Pink - PMS 508, Purple - PMS Violet, Kelly Green - PMS 356, Neon Pink - PMS 812, Red - PMS 200, Maroon - PMS 229,Magenta - PMS 240,*Natural color variances are normal and all PMS colors are approximate. Exact PMS matching for materials is not possible. 1 color / 2 locations - no special pricing.